I love waking up to good news….and I REALLY love good music news. Two of my FAVORITE artist are touring together and will be in Los Angeles in late March. 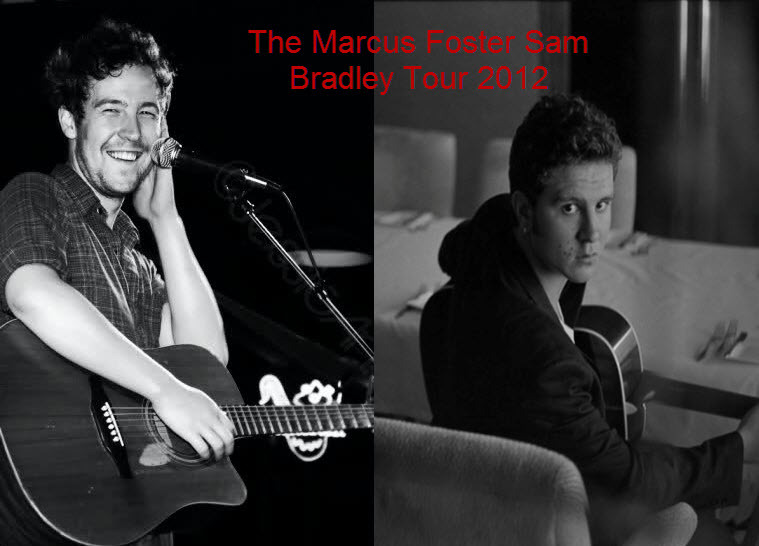 As I stated in a previous post Marcus Foster will be at the Hotel Cafe well I’m happy to announce Sam Bradley has bee added to this bill!! A night of musical magic I tell you!! So my fellow Angelenos save the date…..March 23rd & 24th…..it will be two nights of musical bliss!!! March Music Maddness is in full swing!! If I was a rich girl (yes, I’m thinking of Gwen Stefani! Don’t JUDGE!) I would have hopped on a plane with some friends to catch the Sam Bradley show in London. Judging from fans not only did he put on a stellar performance but Marcus Foster joined him on stage to play guitar for the song ‘Lights’ from his Zuni EP….why can’t we get that in L.A.?! Thanks to Lynne Edmund for the video we can all pretend we’re there!! Please be sure to leave her some love on her YouTube page! New Sam Bradley video – ‘Woman you Crazy’! Today is theday of new videos! Sam Bradley just released his video for ‘Woman You Crazy’. Oh Sam you made my day even better! Thank you! !